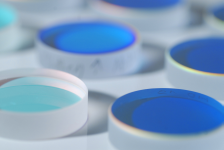 OptiLayer allows designing optical coatings in all spectral ranges including UV, EUV and x-ray ranges. 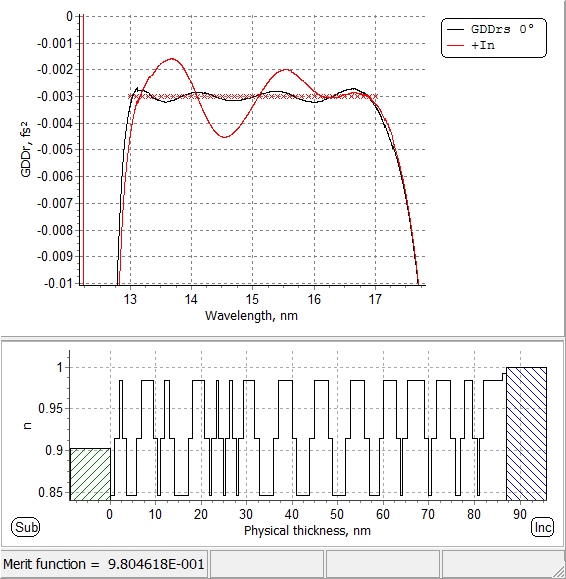 One of the special options of OptiLayer is Inhomogeneous/Interlayers Refinement. In the UV and x-ray spectral ranges inhomogeneity and surface roughness effects coating spectral characteristics significantly. Special option allows you to perform a refinement of coating design with taking into account bulk inhomogeneity of coating layers and interface surface roughness. All types of targets (conventional targets, color targets, integral targets) can be used by this option. 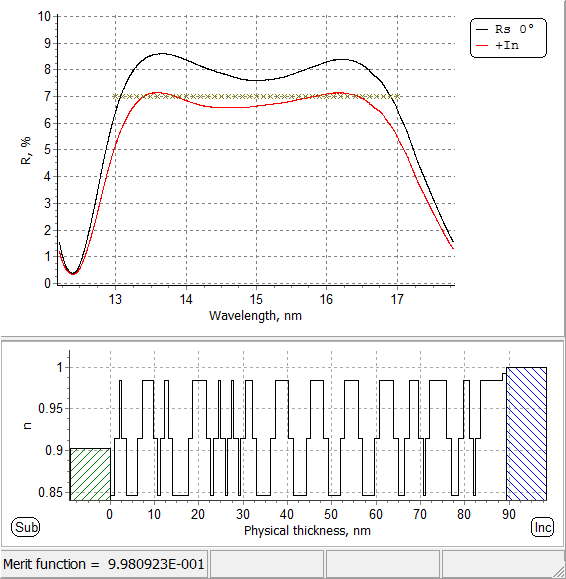 All opportunities provided by the Cone Angle and Line Width databases are also supported by the new refinement option. 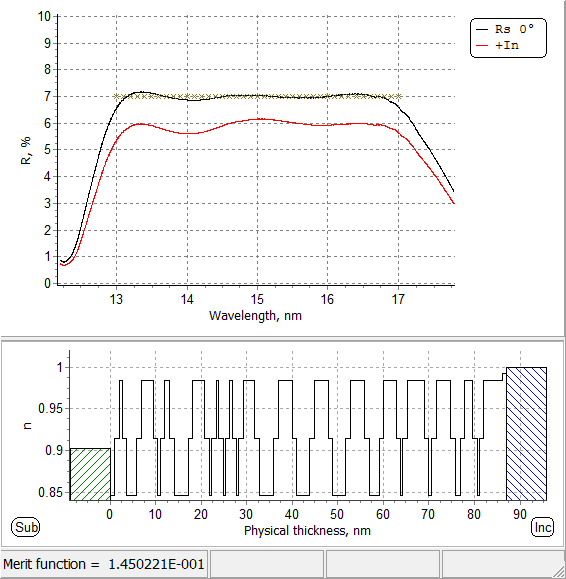 Example: Design of chirp mirror working in the spectral range from 13 nm to 17 nm. 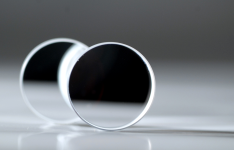 Technological limitations: lower and upper limits of layer thicknesses are 1.5 nm and 6 nm. 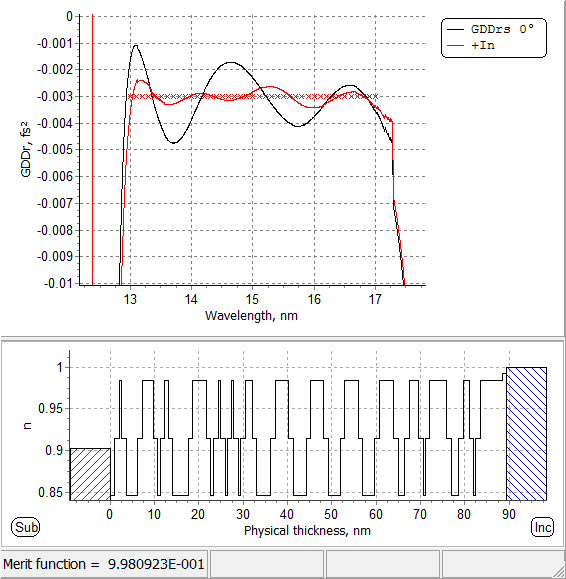 A. Tikhonravov, M. Trubetskov, "Design of optical coatings taking into account thin film inhomogeneity," in Optical Interference Coatings, OSA Technical Digest (Optical Society of America, 2013), paper TD.6. H. Jiao, X. Cheng, G. Bao, J. Han, J. Zheng, Zh. 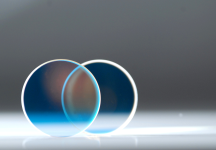 Wang, M. K. Trubetskov, A. V.Tikhonravov, "Study of the HfO2/SiO2 dichroic laser mirrors having refractive index inhomogeneity," in Optical Interference Coatings, OSA Technical Digest (Optical Society of America, 2013), paper FB.5.